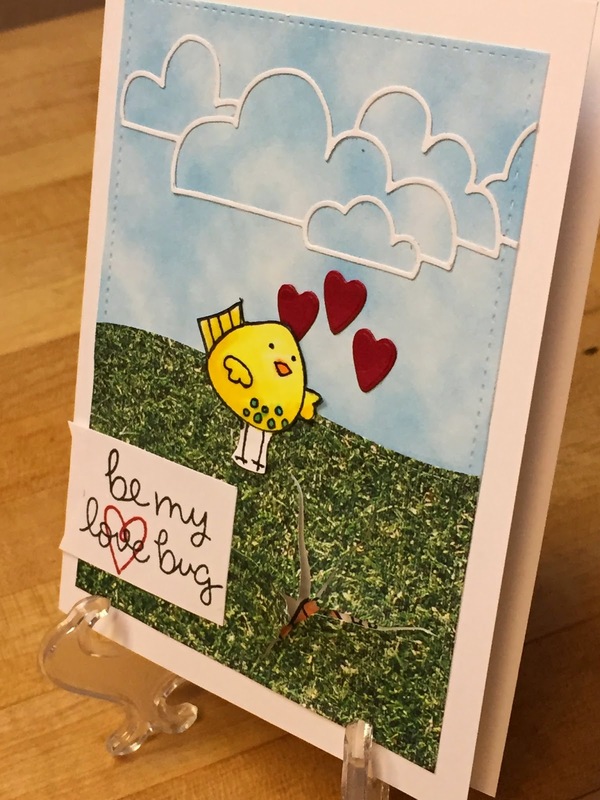 I had this idea for the Lawn Fawn set "Bug & Kisses" and The Unity Stamp Co's "birdie conversation". The little hearts are covered with "Wink of Stella" but the glitter did not get picked up by the camera. Such a cute card Beejay - a great design and scene with lovely details - love the worm hiding!! Awww this is cute. Thanks for sharing. So clever! You combined things to make it work. That is the best part of this hobby of ours. Love it! Well this is quite the sweet little "love connection" your sky is so pretty and those clouds...too fun! Great way to feature that little birdie. Happy Friday!! So cute and clever - love the bird and the worm. This is so sweet and adorable I love your styllized clouds I love it. How fun! Love the clouds. Such a cute scene, I love those clouds in the sky! 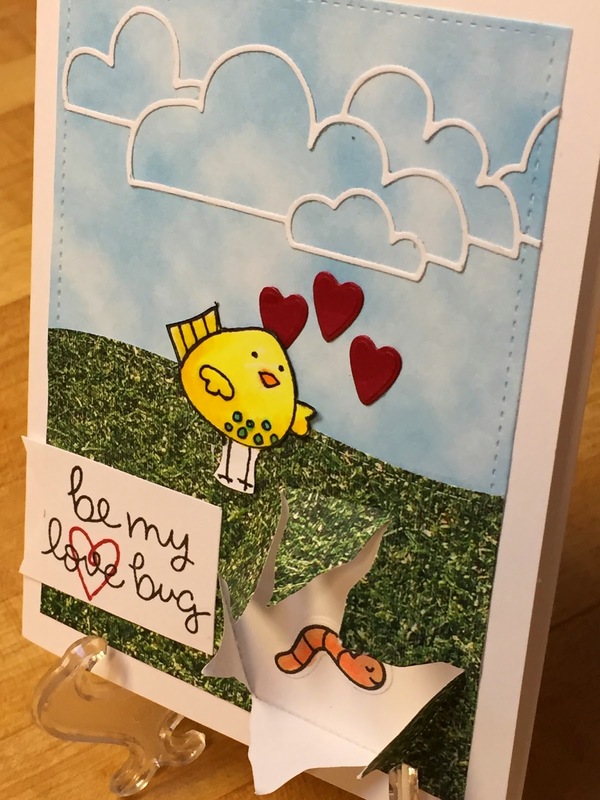 super cute card, luv the bird and worm! so glad you played along with Simon Says Stamp Wednesday Challenge! Oh my gosh - this card is just too, too cute! That little bird is so cute and the worm is such a fun surprise! Adorable! Adorable card. Love your idea with the worm. Its brilliant. Well done. Very cute the way you made the bug. Sweet card. I love that you have the worm hiding underground! Absolutely fabulous card!